A & B Commercial Cleaning Service, LLC has been in the commercial cleaning business since 2015. We offer premium floor care to businesses located throughout the area. From lobby floors to dining floors, A & B Commercial Cleaning Service, LLC will get every floor in your building cleaned. Call (717) 216-4866 for a free commercial floor cleaning quote. Get your floors showroom ready with professional floor cleaning, provided by the commercial floor cleaning experts at A & B Commercial Cleaning Service, LLC. Our highly qualified cleaning crew has all the right tools and cleaning products to make your floors gleam. Our commercial grade cleaning equipment is guaranteed to bring out the shine in your floor without gouging or scratching. 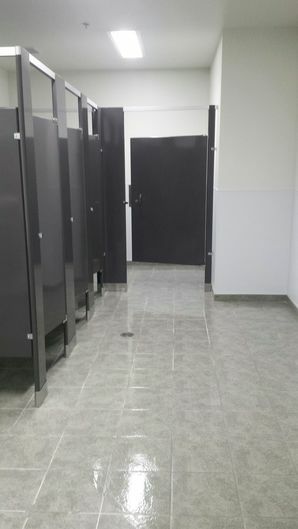 From tile to marble and everything in between, A & B Commercial Cleaning Service, LLC will get your floors expertly cleaned with environmentally safe, non-abrasive cleaning products. Call the commercial floor cleaning experts at A & B Commercial Cleaning Service, LLC for a free quote. In business for more than 4 years.